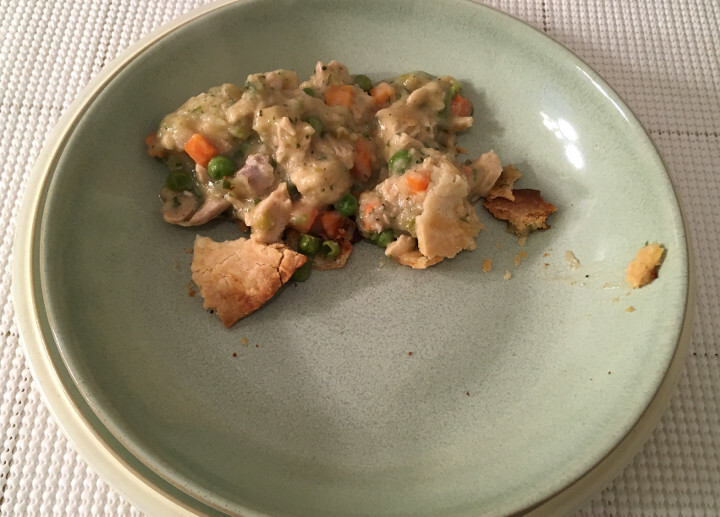 We love pot pies here at Freezer Meal Frenzy (and that’s somehow been a controversial opinion in the past), but we don’t seem to review enough of them. 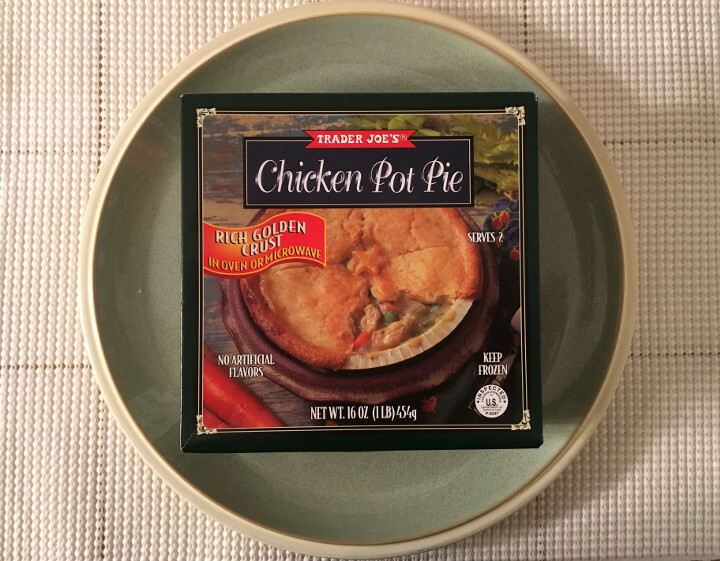 It was a cold winter morning when we decided to finally give the Trader Joe’s Chicken Pot Pie a try, and we can’t think of better weather for enjoying a meal like this. This is one of those belly-warming treats that cold-region denizens like us crave in the wintertime. 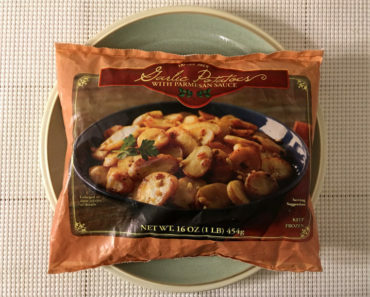 We’ve tried Trader Joe’s Steak & Stout Pies a while back, but we believe this is our first time reviewing a proper pot pie from Trader Joe’s. You’ll notice in the picture below that our pie lost a lot of its outer crust. This happened when we opened the box, as pieces of it came spilling out onto the floor. 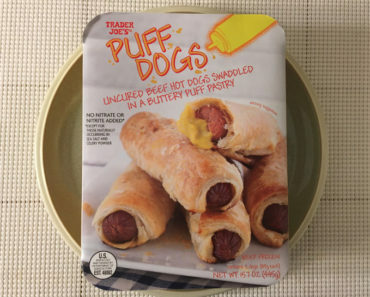 We’re guessing this is due to the product being bumped around in shipping, but we think Trader Joe’s could have mitigated this problem by sealing the pie in a separate bag of some sort. Even though it tends to fall apart before you even get this thing into the oven, the crust turns out quite good. It has a crumbly, grainy texture with just a little bit of crisp to it. Ours did burn around the edges a little, however, so this might be an inevitable outcome of cooking this in the oven. But it’s what’s inside that crust that really matters. The filling starts with a creamy sauce that has a lovely chicken broth flavor. There’s also a bit of sweetness lurking inside, which we found to be a lovely surprise when we took our first bite. When the pie first comes out of the oven, the sauce is a bit soupy, but if you let it cool for a few minutes, it thickens right up. The chicken is your typical white-meat affair, and chunks range in size from quite small to about as thick as the average person’s index finger. 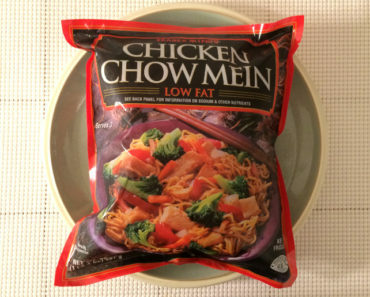 We think they taste pretty good, but it’s hard to get an accurate reading on the chicken portion alone because they’re soaked in that amazing sauce. There are some veggies in here. We found a single chunk of potato inside our pot pie, so don’t expect this to be a potato-loaded treat. There are also some carrot chunks and a whole boatload of peas. Now, we need to talk about those peas. Too many companies end up using mushy peas in their frozen foods, and that can lead to a lot of pea-based negativity. Here, however, the peas are excellent. They’re a little firm, so they snap open when you bite into them. They also taste surprisingly great. 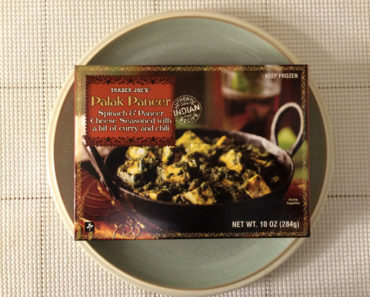 This pie is designed as a meal for two, and while sometimes this is nothing more than an excuse to show a lower calorie count on the box, this pie is pretty substantial. We tried to get a nice, clean photo of a single serving, but this pie refuses to be tamed. You can see in the image above just how sloppy this thing can get. But even if you eat half a pie, you’re in for a load of calories. 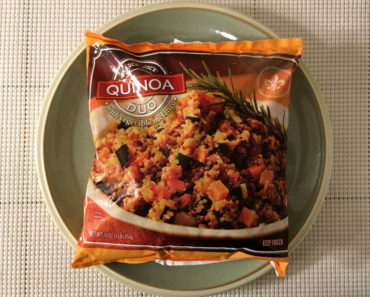 There are 380 calories (230 from fat) per serving. Yowser, Bowser, that’s a lot for half a pot pie! 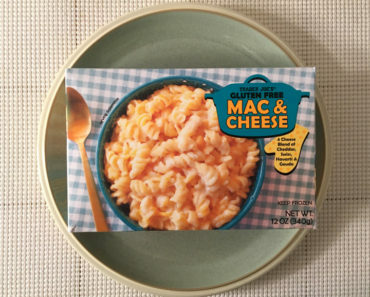 While this is designed to be split between two people, we had one staffer who was eager to prove this was a feasible meal for one. He finished an entire pot pie in one sitting, though he reported that he felt incredibly full afterward. In fact, he compared his appetite to Icarus, claiming it perhaps flew a bit too close to the sun. 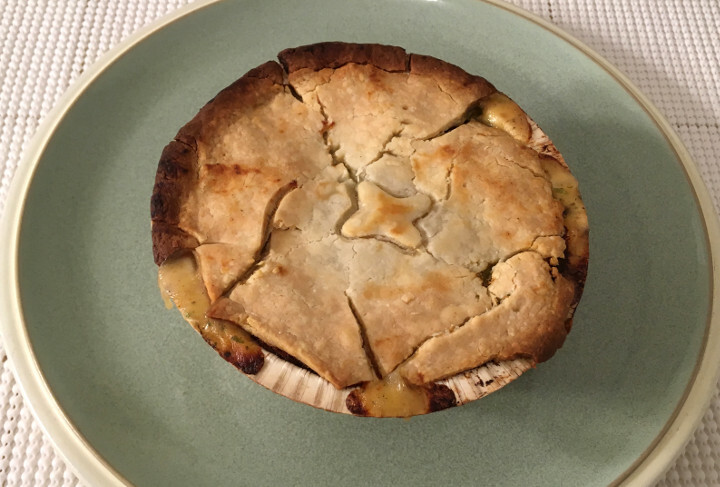 The Trader Joe’s Chicken Pot Pie is a warm, filling meal that’s perfect for cold days. Just watch out for that calorie count, because it’s a doozie! 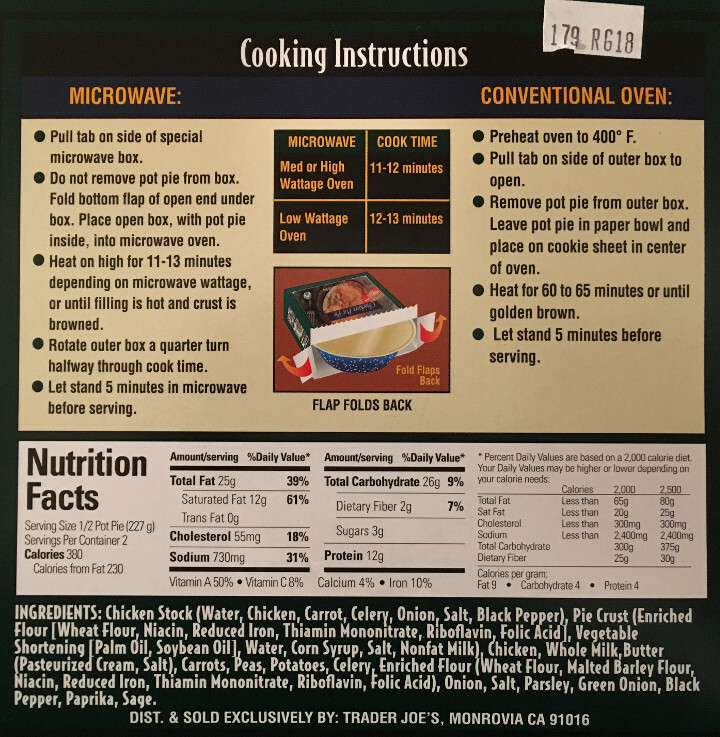 To learn more about the cooking instructions, nutrition content, or ingredients in this Trader Joe’s pot pie, check out our package scan below.